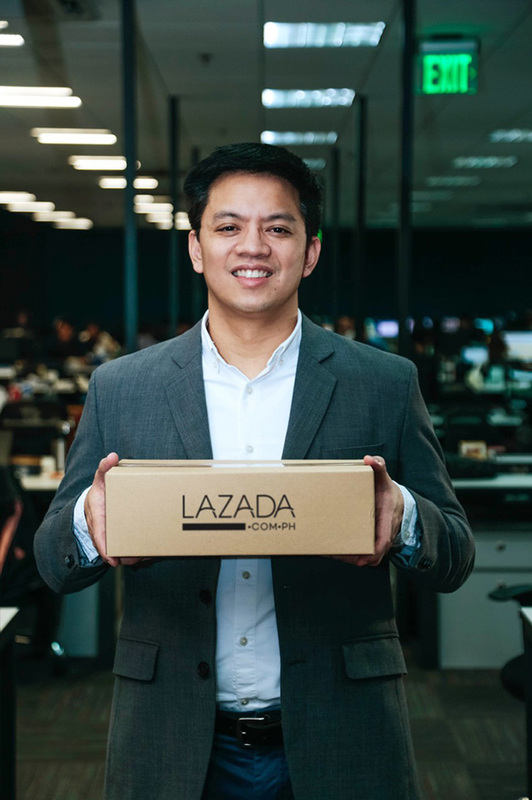 Can Lazada PH’s New CEO Tempt Pinoys to Shop More Online Instead of in Giant Malls? 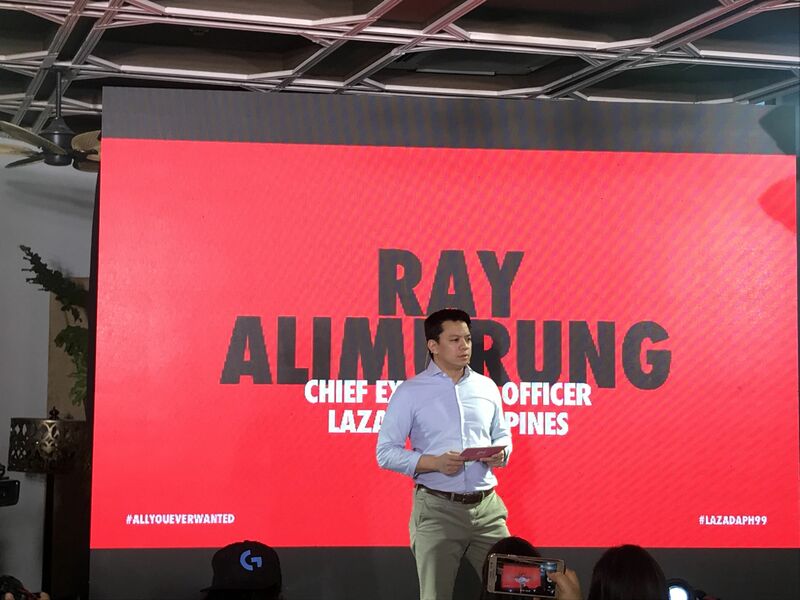 Raymond Alimurung had already taken on the role of interim CEO of Lazada Philippines in May 2018 before the appointment was made public about a month later in June. Inanc Balci, the Turkish-born co-founder and country chief of the e-commerce platform, had chosen to take some time off and eventually decided he wanted to pursue other ventures, which led to Alimurung assuming the top post. It was a logical choice for the six-year-old startup. Alimurung had actually joined Lazada when it first set up shop in the country in 2012. The Stanford University MBA graduate started out as the head of content and production, and eventually also managed domestic customer service. His role expanded to handling regional customer service before he exited the company about a year later. Alimurung wanted to do other things but his keen interest in e-commerce never wavered. He set up a company called aCommerce, an end-to-end e-commerce fulfillment service provider, which was also a Lazada partner. Afterwards, he left to work at Amazon in the US. “One of the reasons I worked there was because I wanted to learn more about e-commerce and apply that to back here in the Philippines,” Alimurung tells Entrepreneur Philippines about his stint in Amazon. “And why I wanted to do that is because I saw e-commerce as a fantastic opportunity for entrepreneurs—for sellers—to build a nationwide business at the lowest possible cost and investment. “I really saw e-commerce at the time as a way to improve one’s station in life, and to give you a level playing field versus other players,” he adds. In 2016, Lazada Philippines’ chief commercial officer moved to Indonesia and so Balci invited Alimurung back to come work at the company. It coincided with the announcement that Chinese internet giant Alibaba was acquiring a majority stake in Lazada. Two years later, when Balci announced he was leaving, the company didn’t have to look far for a replacement. 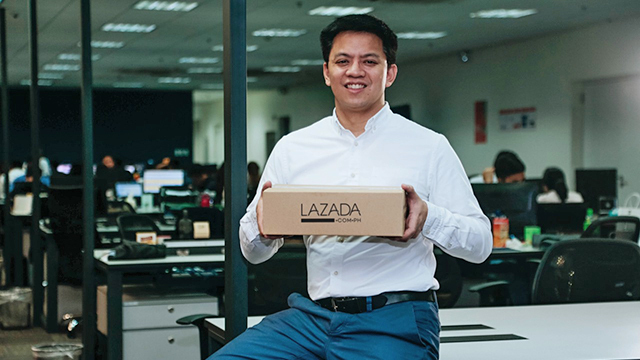 Since its founding, Lazada has quickly established itself as the dominant e-commerce platform not just in the Philippines, but in the entire Southeast Asian region. But that doesn’t mean it’s not without its challenges. Early on, Alimurung discovered three key issues that needed to be addressed in order for e-commerce to truly flourish. Lazada tackled the logistics issue by setting up its own logistics service called Lazada Express. With payments, the company enabled nationwide cash on delivery (COD) in order to circumvent the problem of a huge majority Filipinos not having credit cards or access to electronic payments facilities. And as for internet, the country still has a long way to go, but Alimurung says things have generally improved over the last few years—costs have gone down, leading to more people with access to the internet than ever before. But what Alimurung eventually realized is that the three-legged stool actually has two additional legs. While working at Amazon, he recognized the importance of supply in the equation. “You can have all the other three fixed, but if nobody is selling online…,” he trails off. In the early days of e-commerce, many sellers viewed online selling merely as an extra channel for their merchandise as opposed to a viable business model. The trick, he says, is to get offline sellers to place just as much emphasis and effort into selling online as they do with their brick-and-mortar stores. “Only when a seller starts thinking that way is he going to be able to build an online business,” he says. Finally, Alimurung identified the importance of marketing in order to run a successful e-commerce platform. Lazada has been paying for advertising on Facebook and YouTube, where most Filipinos spend their time online, since 2012. The implication is that brands would do better to sell on a platform that’s already advertising than to start from scratch. It goes back to Alimurung’s belief of e-commerce as a tool to build a business with the lowest possible investment. Today, Lazada has around 20,000 merchants and millions of products in hundreds of categories. It currently counts about 100 million site visits per month, making it one of the country’s most visited websites overall. Thanks to its continuous growth, as well as that of rival companies, e-commerce is slowly but steadily making a dent in the local retail landscape. Alimurung says that total e-commerce sales now account for about 1.5 percent of total retail sales, up from less than one percent in 2017. The e-commerce footprint remains tiny in the Philippines but it is dominated by Lazada by various measures. According to iPrice Group, a Malaysian shopping aggregator, Lazada commanded a 91 percent e-commerce market share in the Philippines in the first quarter of 2017, keeping a wide lead over its competitors in terms of search interest, social media presence and downloads from the iOS Store and Google Play. It also topped Entrepreneur Philippines’ 2018 list of the 50 startups in the Philippines with the largest revenue, reporting sales of Php2.1 billion in 2015, up by 99.8 percent from the previous year. Related story: Who are the Leading Foreign and Local Players in PH E-Commerce? Last August 31, Alimurung was on hand to launch Lazada’s newest innovation—LazMall, an in-app channel that features products from partner brands. LazMall addresses another issue that has plagued Lazada for years—the presence of fake and substandard merchandise. Besides guaranteeing the authenticity of items, LazMall also promises next-day delivery for orders within Metro Manila, as well as returns for purchases within 15 days. But Alimurung is not stopping there. The challenge today, he says, is to build a sustainable marketplace business rather than one focused on key accounts. And the way to do that is by incentivizing good behavior from their sellers. The idea, he says, is to encourage and reward Lazada sellers for using these tools: whoever is the most active actually gets the most visibility on the platform. It won’t do for a country chief not to be a good customer of his own company. Alimurung says he, himself, is a Lazada user, buying things like personal care products, electronics and gadget accessories from the app. In January, Lazada started curating the items shown on the homepage based on what users search for and buy. It’s another step towards making the online shopping experience more seamless and personal. Although Alimurung declines to reveal the company’s latest revenue figures, he says he is happy with where the company is now and looks forward to the challenges ahead. It previously reported a net loss of Php2.3 billion in 2015, up by 143.8 percent from the year before, according to latest financial statements filed with the Securities and Exchange Commission (SEC).